The last posts from the gm. blog on the topic of Email Marketing looked at The Marketing Offer and Deciding on Content Type. Continuing in this series, we will now look at the Content Basics you need to consider when creating your attention-grabbing copy and head-turning imagery. You have already decided what your email marketing offer and message will be, and what marketing format you will use to deliver this. Now it’s important to think about what you want your recipients to do, think and feel when reading your email. Follow the AIDCA model when structuring your text content from the top to the bottom of your email: Capture their Attention, generate Interest, create a Desire, encourage Conviction and then get them to take Action. Remember that your email marketing is a direct channel of communication to your potential customers – it’s important to take this opportunity to help them understand your brand and reassure them that your contact is authentic by keeping your tone of voice consistent with your corporate identity. However formal this may be, you can still keep it personal to create the feel of a one-to-one conversation with the use of “I”, “we” and “you”. Show a name rather than an email address, where possible. Your sender name should be easily recognisable and relatable to your business to avoid being classed as spam! Sitting above the main body of your email content, this text should expand on your subject line – not just repeat it. 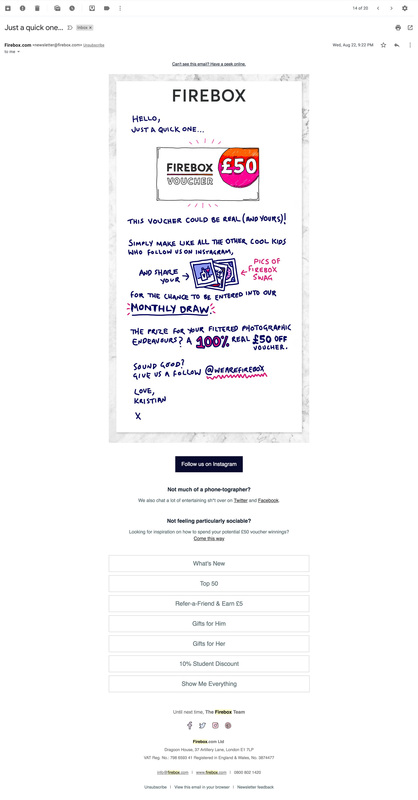 This element of the email is vital as it can’t be obscured and won’t interfere with content below, making it the perfect position to communicate the main offer and encourage scrolling through the email content. Generally, Email Marketing emails lead recipients to a landing page on a website – this landing page will contain much more detailed information on your offer/message than your email will need to. This allows your email content to simply be the highly-engaging driving force that pushes traffic to your page. It is therefore important to not give too much away in the text content, but engage the user, set the tone and explain the offer with standout CTAs to encourage them to click through to the next step in the conversion process. Remember that some email programmes will block images in your email content from being downloaded – initially, the user will only see your text until they have chosen to download images – so make sure your text content is effective when no images are shown. Is it still attention-grabbing? 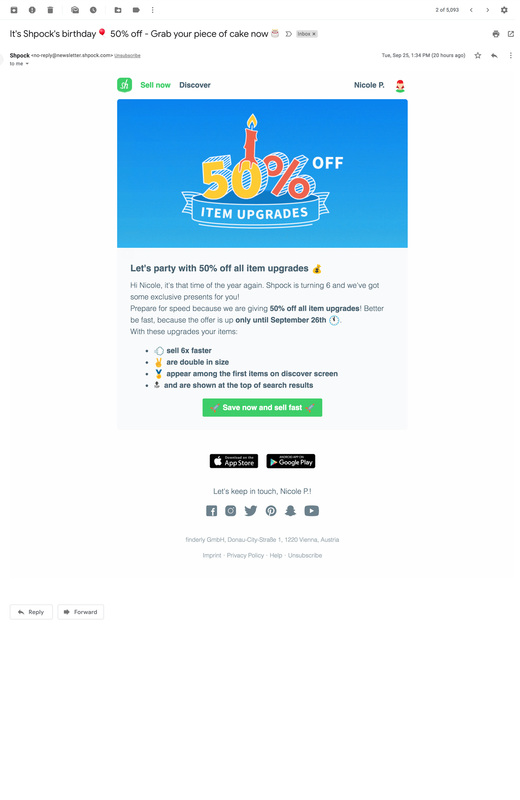 When concluding your email content, repeat the CTA and consider adding a time-limited secondary offer to encourage immediate action (“20% off until midnight”). Include a personal sign-off from a well-known figure in the company to give a personal, authentic touch. Does your email contain a clever bit of design or an attractive offer that you want to be shared? Make sure you add a ‘Share with a Friend’ and ‘Subscribe’ link at the bottom of your email. This will encourage users to spread the word, increase your email list and enable you to keep track of where your traffic is coming from. If you have specific needs for your email, it may be worth considering designing a bespoke template. These can be costlier, however, they can be designed to exact requirements to meet your marketing objectives. If you are opting for a more common email format that can be easily adapted for each send out, there will be an array of set email templates you can use to lay out your content, depending on the email marketing client e.g MailChimp. 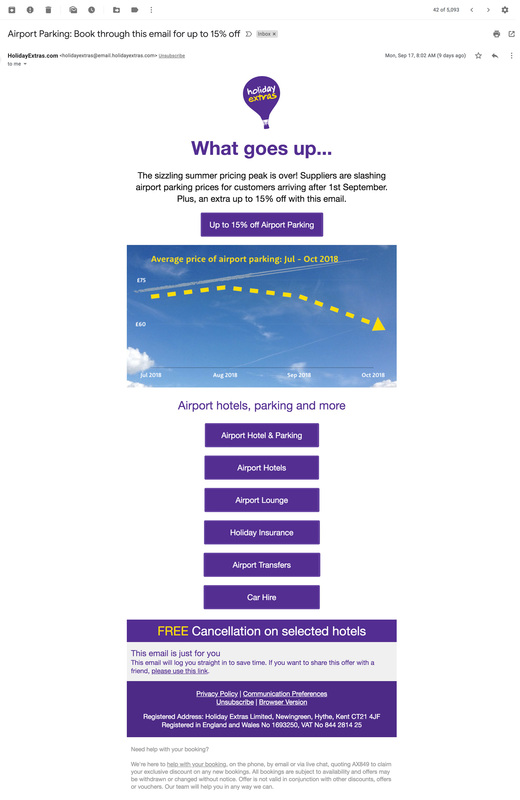 These are easier and quicker to put together to ensure a consistent approach to your email campaign, with minimal clutter and clear CTAs, however, are less adaptable than a bespoke design. Do you want your audience to read your content top to bottom; a short message with a single CTA? If so, a single column layout will be best suited to your email. Multi-column layouts give you the freedom to showcase a variety of content, messaging and CTAs – this layout is more commonly used for product-based or e-commerce emails. Make it easy for the recipient to navigate the email content. This can be achieved through the use of content tables, a navigation bar and internal linking taking users to relevant content on the website. It’s important to consider the design elements of your email with the worst in mind – that is to say, what is the worst-case scenario in which a recipient will be viewing your content? If it works in this scenario, it will work in all scenarios! Therefore, select a width that displays in most browsers; create high quality images at the lowest possible file size to reduce load times; tag all images with relevant keywords; host video content on your website and link recipients to it; make sure offers are displayed in body text and not just in imagery; use tinted backgrounds for visual interest and high contrast, clear fonts for clarity. With a large proportion of users accessing their emails via mobile devices exclusively, it’s crucial to adapt your design to work on smaller screen sizes and touch-screen functionality. Consider how your content will look in portrait as well as landscape, and how links will work and react if touched rather than clicked.